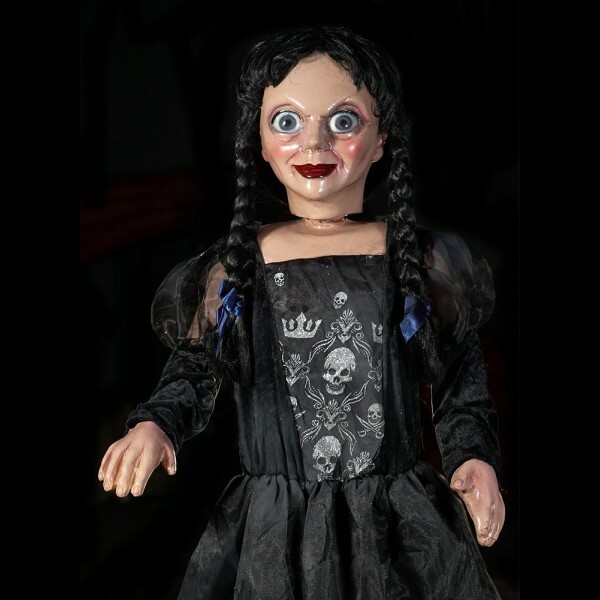 Dolly is a creepy doll Frightronic prop by Distortions Unlimited. Head moves side to side, so creepy! 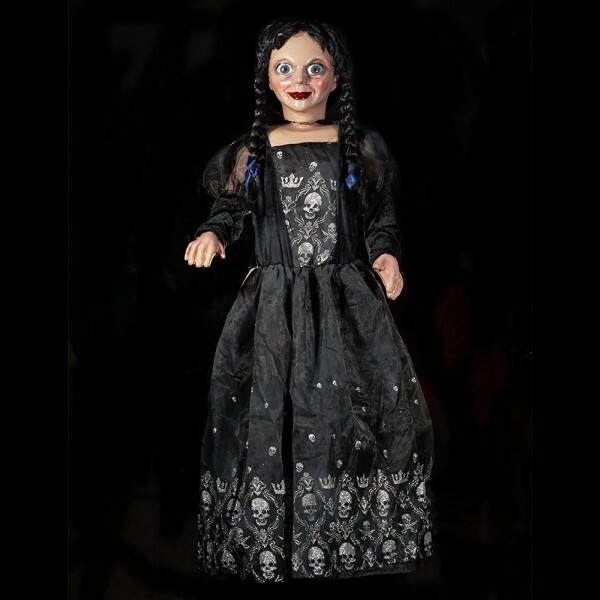 Made of latex and foam with a metal armature. Aprox 46 inches tall. All Electric. Clothing may vary. Comes with audio download.